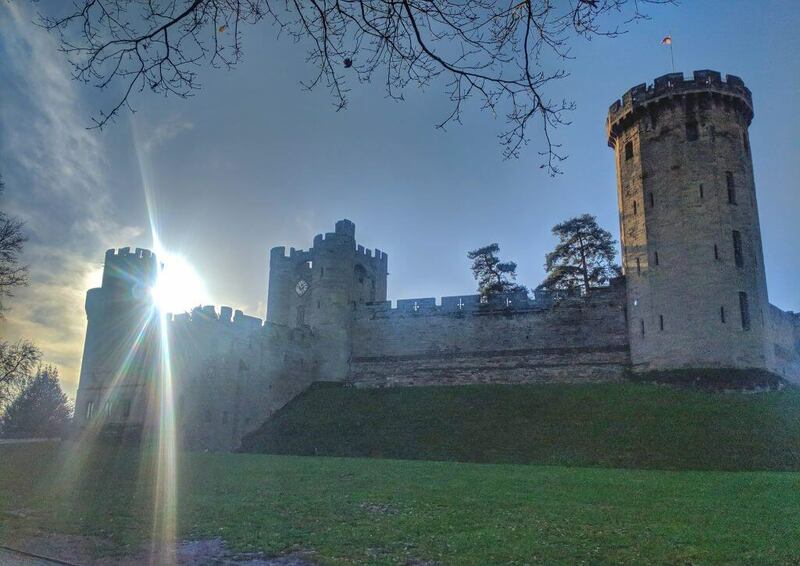 On our trip to England this past Christmas, one of our most anticipated trips was visiting Warwick Castle. 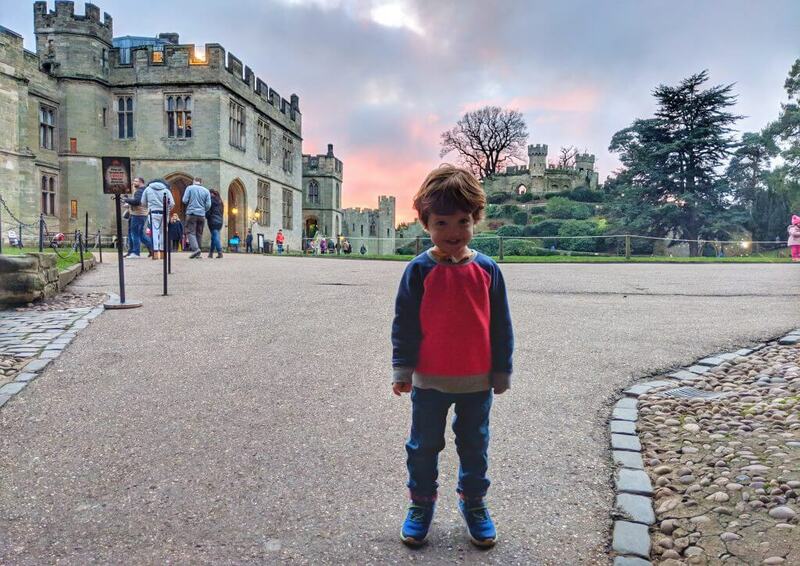 I grew up not far from Warwick Castle, and have visited a few times in the past, but this would be the first time visiting with the kids and I knew Harrison especially would absolutely love it. We managed to pick a very cold but sunny day and spent the whole day at the castle, exploring as much as we could. 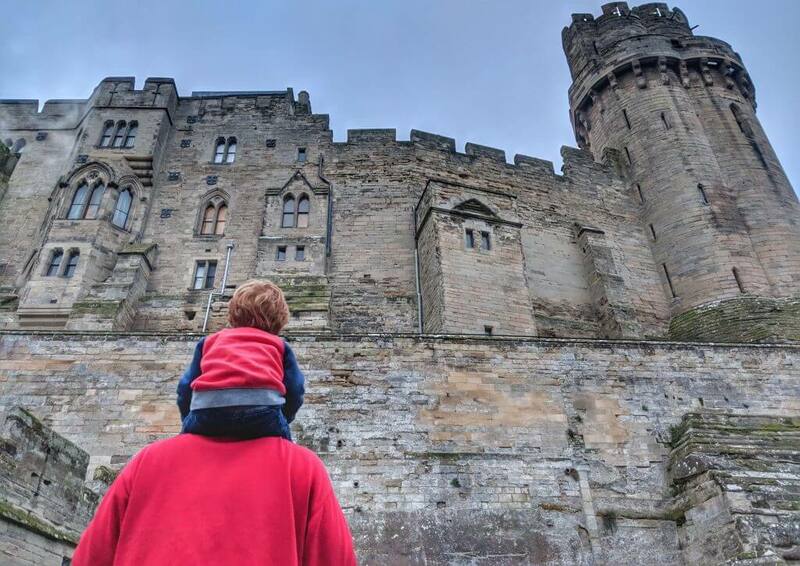 I thought I’d share what we did for anyone else visiting Warwick Castle with kids, with lots of tips on what to see and do! Located in the town of Warwick, a few miles off the M40, Warwick Castle was built in 1068 by William the Conqueror. It has a rich, interesting, and sometimes violent history, and has been expertly restored over the years. Opening times vary by date so be sure to check their website in advance, and as with most attractions, it is much cheaper to buy tickets online in advance. 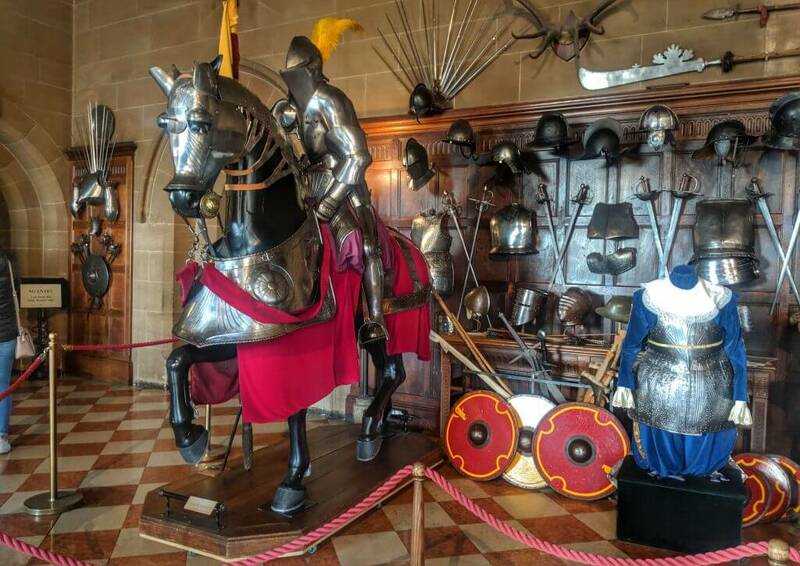 When visiting Warwick Castle with kids, be sure to research to see if there are any special offers; we managed to get much cheaper tickets by doing some research and found some great online offers. 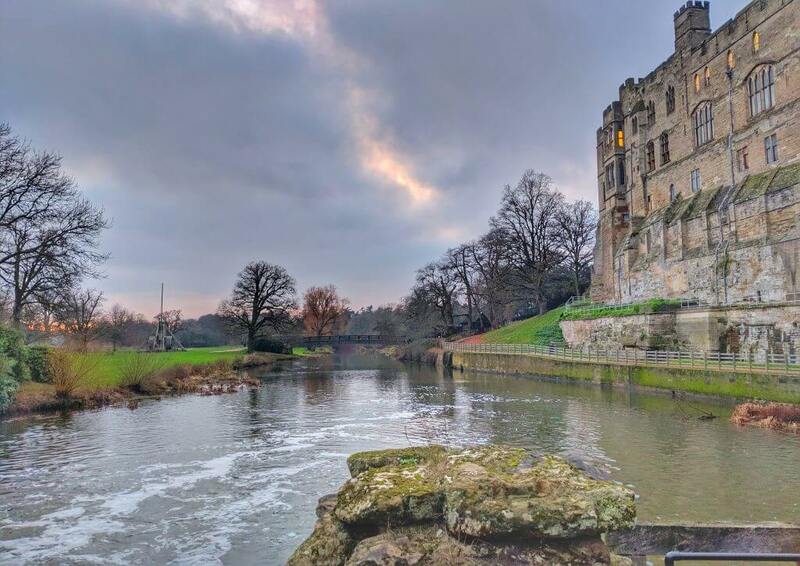 Warwick Castle makes a great day trip from London but if you are looking to stay in the area, the castle offers its own accommodation, and there are a number of other local hotels in the area. I would recommend spending a whole day at the castle, especially in the winter when the daylight hours are shorter, as there is so much to see and do! We were there from 10am to 5pm and I’d still like to go back and see the things we missed. The castle has many family friendly attractions, with some specifically designed with kids in mind. We started our day in the Horrible Histories Maze. 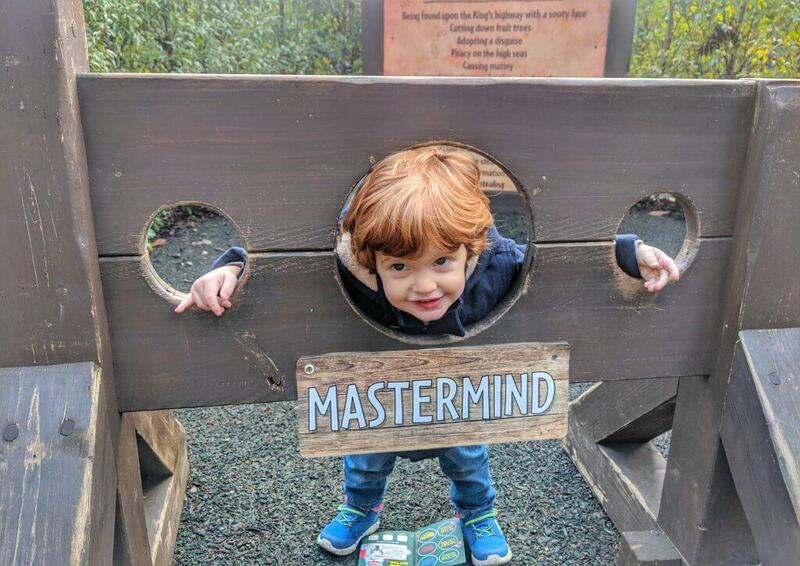 This large outdoor maze has different areas dedicated to different periods of time, such as the ‘Frightful First World War’ and the ‘Measly Middle Ages’, with different things to explore in each area. Harrison loved the area dedicated to the Gunpowder Plot of 1605, and both boys loved the stocks (where of course we made them pose for pictures!) There were maps to go with the maze that required stamps from the different areas, and the boys loved walking around to find the stamps (we found some of the stamps a little hard to work, so kids might need some help with this!) We managed to find our way out of the maze without too much help, but I definitely wouldn’t send my kids in without me, they’d probably still be there! Harrison’s favorite place was the Time Tower, an immersive multi media adventure. You enter the tower and watch the history of Warwick Castle unfurl through videos, projections, and amazing moving pictures. Harrison loved the parts that covered how the castle had been attacked and rebuilt, and I really enjoyed learning about the many owners over the years and the impact they have had on the castles history. One of the activities specifically aimed at kids was another firm favorite with the boys. The Princess Tower tells the story of the brave Guy of Warwick and his quest to marry his sweetheart, Felice, despite being put under a curse by an evil sorcerer. There is a live storytelling where kids get to be a part of the story, complete with a fairy tale happy ending. This experience goes on several times a day, so there might be a bit of a wait until the next story, and since you have to climb stairs to enter, strollers need to be left outside. Although the name implies this is more of an experience for girls, there were plenty of boys in attendance and Harrison loved the story. 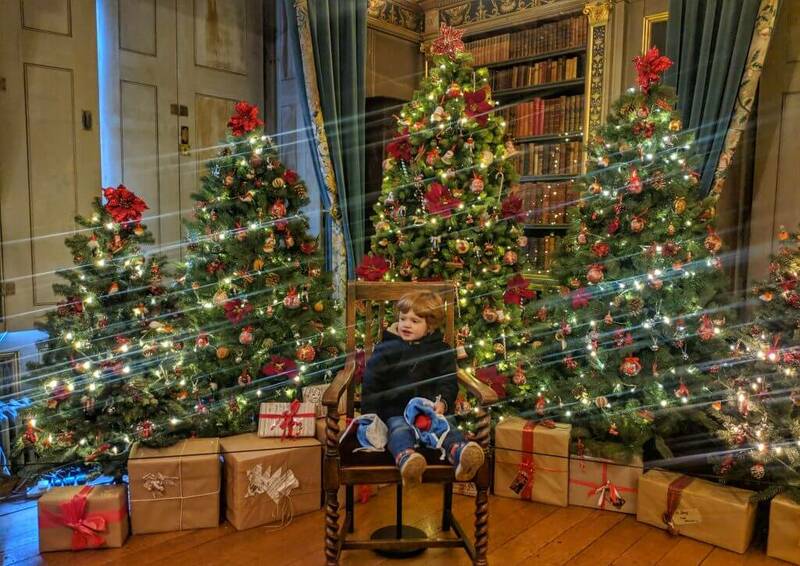 One of the areas that I was honestly surprised the boys enjoyed so much were the interiors of the castle, particularly the Great Hall and the State Rooms, as well as the Royal Weekend Party. Not only was this a nice escape from the cold, but the boys were fascinated with how things once looked, especially the suits of armor and equestrian armor in the Great Hall, and the various bedrooms. The Royal Weekend Party was set up to mimic Victorian High Society and one of the Countess’s famous lavish parties. We walked around these exhibits for much longer than I thought the little ones would be interested, but they both asked so many questions and hopefully learnt a lot. We visited the castle just after Christmas, and it was still absolutely beautifully decorated; I’d definitely recommend this as a time to visit, and be sure to walk through the interiors to see the amazing decorations. Another favorite activity of Harrison’s was to explore the various towers and ramparts. 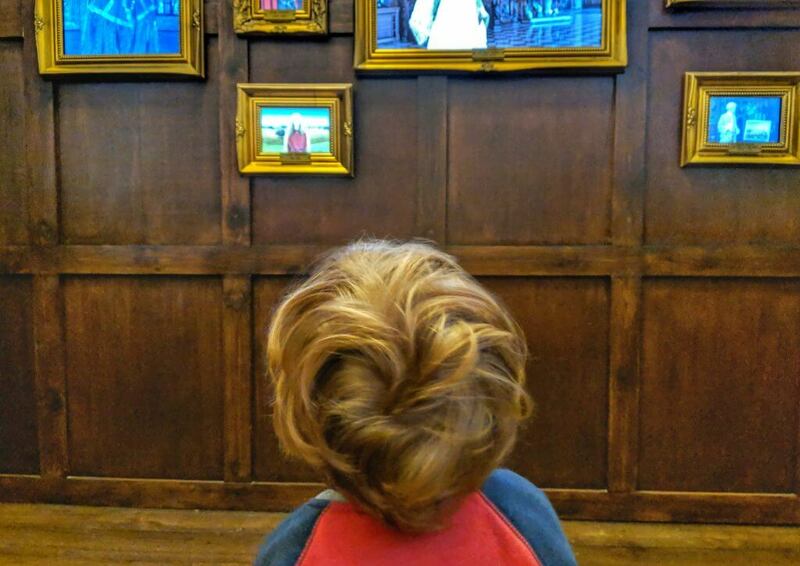 Over £6 million has been spent on restoration of these areas of the castle in the last 10 years so everything is safe to explore, even for little ones. We climbed all the way to the top of Guy’s Tower (if the timing is right, definitely try to do this at sunset, the view is beautiful) and then Harrison and my dad walked all the way along the ramparts. This is a great way to look out over the Warwickshire countryside, although it’s definitely a workout to climb all those steps! Harrison managed with minimal whining, but the steps were too big for Grayson, and young kids will definitely need a little help. Grayson’s favorite thing to do was simply to explore the grounds. The castle gardens looked beautiful, even in the winter, and I can imagine how pretty they look during the summer months. There’s plenty of space for little ones to run around, and this is a great way to entertain toddlers who might not be able to do some of the other activities. 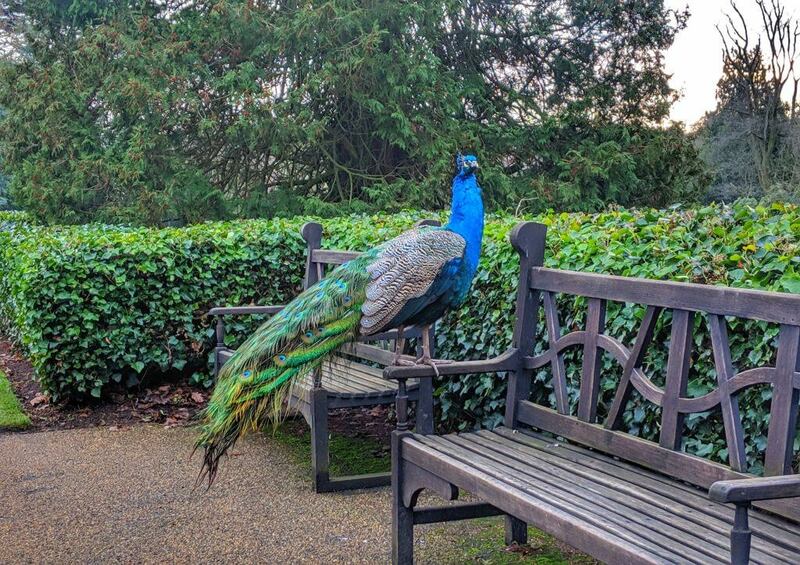 The grounds are also home to the famous Warwick Castle peacocks. Grayson had never seen a peacock before (there aren’t many strutting around Orlando!) and both boys were fascinated with them. The birds were very gentle, so there were plenty of chances to watch them and take some photos, but they are wild animals after all and we didn’t get too close, letting them walk away if they’d had enough of us. One final activity that my husband and I took part in might be a fun choice for older (and braver) kids! The Castle Dungeon is one of the few activities that requires a separate ticket and has an age restriction of 10 years and older. You can buy these tickets online ahead of time, or upgrade to include the tickets on the day of your visit, which is what we did. We were given an entry time, and told to arrive about 10 minutes beforehand. The experience lasted just under an hour, and I can definitely confirm that it is NOT for little kids! 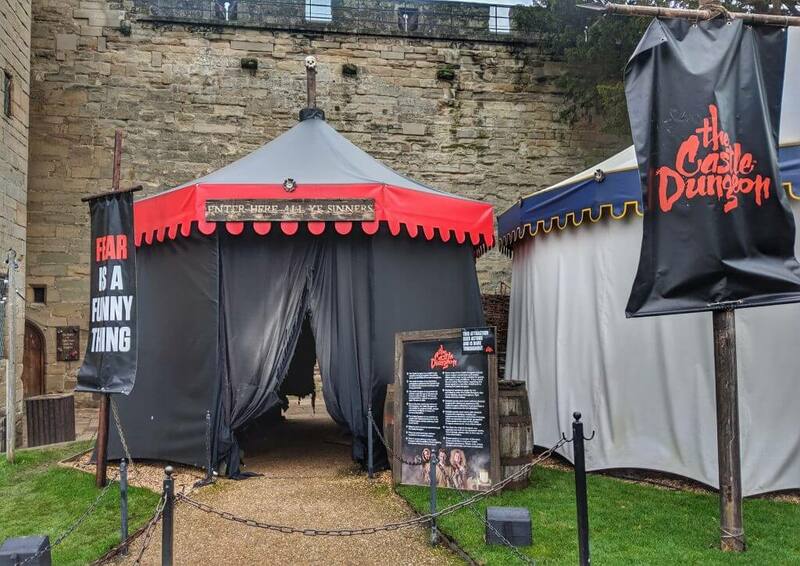 The experience is an interactive walk through the dungeons with live actors covering all sorts of gruesome topics, from the plague to various methods of torture, to how prisoners were treated, and even legends of witches who were tried at the castle. As you can imagine, this included lots of moments that make you jump, pretty gruesome details, and a few moments that may have made me scream out loud. I think teenagers might find this fun, and my husband thought it was fascinating, but it’s not going to be for everyone. We left our little ones with their grandparents to experience it without them, and this worked out perfectly for us. Throughout the year, Warwich Castle has various special events and activities, so it’s definitely worth looking into anything that might be happening during your visit to see what you might want to make time for. We didn’t have much of a plan going in, and in hindsight I wish we’d known what was on offer beforehand so we could have used our time better. If we go back, we’ll definitely go with a general itinerary in mind. There are a couple of different options when it comes to eating at Warwick Castle. The first is the Coach House Family Restaurant, which is located in the Stables Courtyard at the entrance to the castle. Offering coffee and cake, as well as full meals for adults and kids, the restaurant has something to keep everyone full. We thought the menu looked great, but since we were there at a busy time of year and stopped into the restaurant at a peak time of the day, we were told hot food would take about 30 minutes to arrive. For most, that would be fine, but with a hungry 2-year old in tow, we decided to go elsewhere. This is something to be aware of if you plan on eating there; I would recommend either planning your meal at an off-peak time or arriving a little earlier than you necessarily want to eat. Another option is the Undercroft Restaurant, which offers an unlimited pizza and pasta buffet for a set price. This is a great option if you have big eaters and want to fill up for the day. Again, this seemed to get busy around lunchtime so bear that in mind. There are other carts that were open throughout the day selling things like hot dogs, baked potatoes, donuts, ice cream and coffee, as well as The Courtyard Grill, which is where we chose to eat. Selling coffee, cakes, sandwiches and salads, we found this to be a quicker option than waiting in the restaurant, although they seemed to have a smaller supply of food and by the time we reached the front of the line, they were out of a number of options. This would be another place to eat early! My recommendation for eating at Warwick Castle would actually be to bring a picnic. With such beautiful grounds, there are plenty of places to eat a picnic if the weather cooperates, and this would definitely be the quickest option for lunch! We noticed that all of the food locations closed early, at least an hour before the castle itself closed, so if you’re visiting Warwick Castle with kids, I would definitely recommend taking at least a few snacks. If you don’t mind leaving the castle, there are a number of places to eat in Warwick town center, and lots of great choices for dinner once the castle closes. 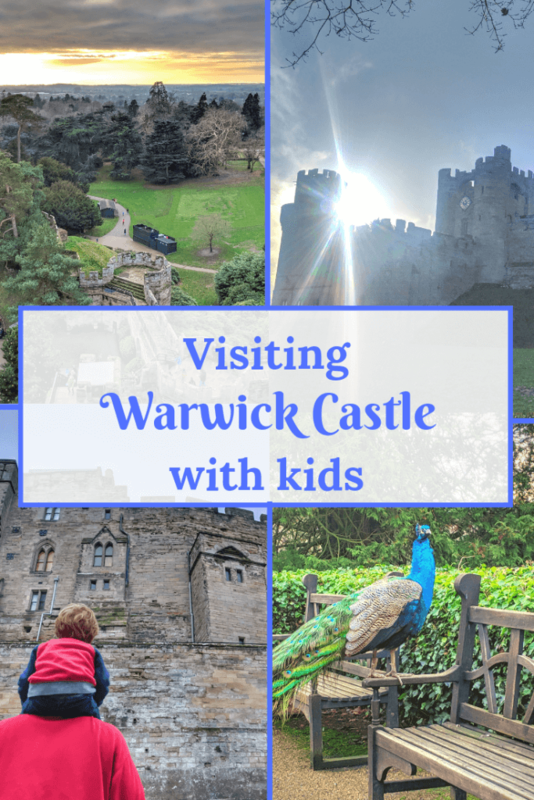 We had a fantastic time visiting Warwick Castle with kids, and although we saw as much as we could, we’d definitely like to go back in the summer to see more of the castle and the grounds, as well as some of the special events. My kids are still young so although I knew Harrison would be excited to visit a real castle, I didn’t know how much of the history would hold his interest, and I was worried Grayson would be completely uninterested. I was surprised at just how much they both loved their visit, and both have talked about the castle since, which goes to show that there really is something for every age! This is somewhere I’d highly recommend visiting if you are in the area, and definitely consider it as a day trip if you’re in the London area. 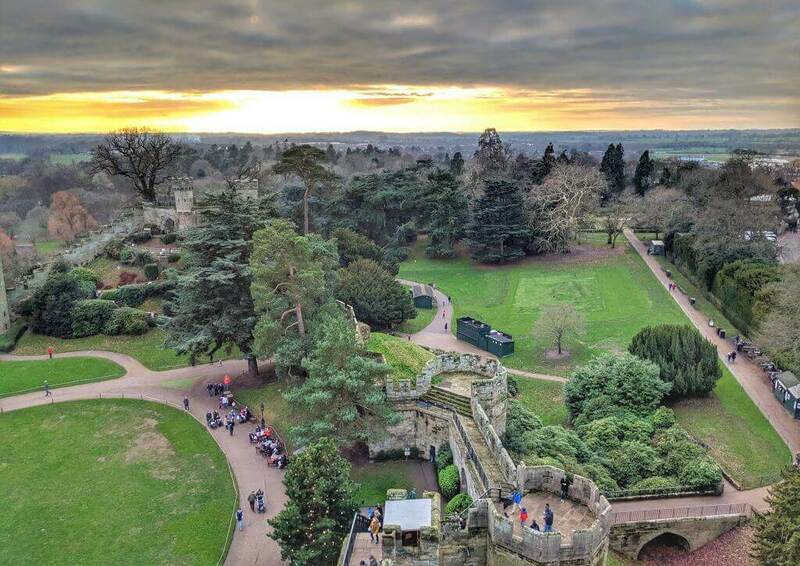 Have you visited Warwick Castle with kids? Let me know in the comments! I love Warwick Castle, though haven’t been for 30 years! The dungeons sound fantastically gruesome!